A pillar of stones, a Mizpah, was erected by Jacob and Laban as a covenant between them. They pledged to each other: "May the Lord watch between me and thee when we are absent from one another." 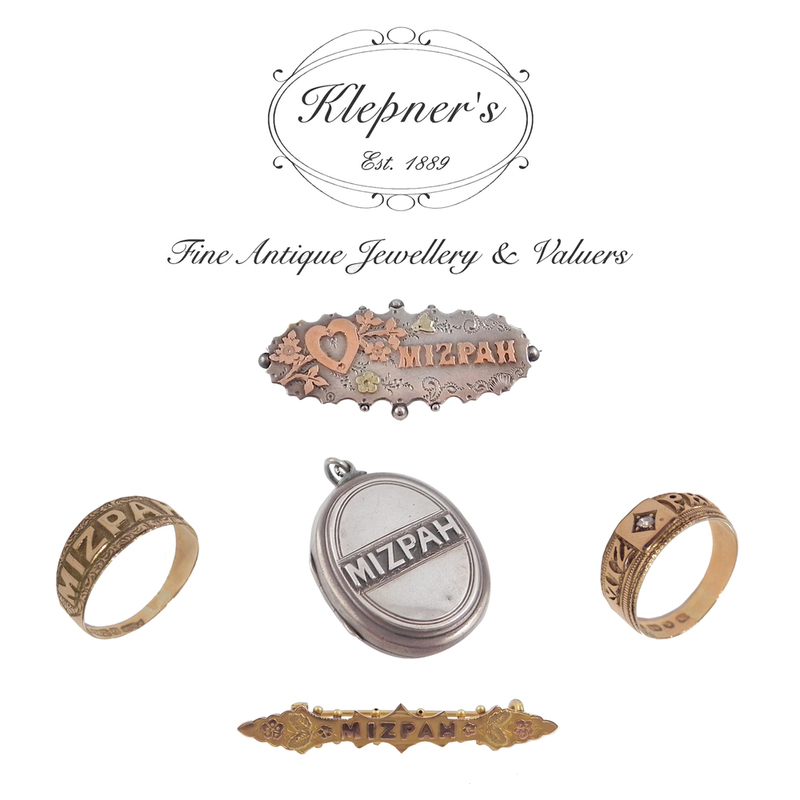 At the height of the romantic period in the late 19th and early 20th Century, MIZPAH was incorporated into various items of jewellery with the word usually engraved or embossed onto the item. A common design was the word Mizpah incorporated with one or two hearts, a bow and sometimes a faith, hope, and charity or a garland of forget-me-nots. It was also common for the verse from the bible to be engraved on the item. MIZPAH was used frequently by lovers departing for distant shores and especially by people migrating to various parts of the British Empire to places such as Australia, Canada and South Africa. The sentiment remained in use until the First World War when it fell out of favour with the end of romanticism and the sad fact that so few soldiers returned.